A Satisfied Life Is Better Than A Successful Life. Because Our Success Is Measured By Others. 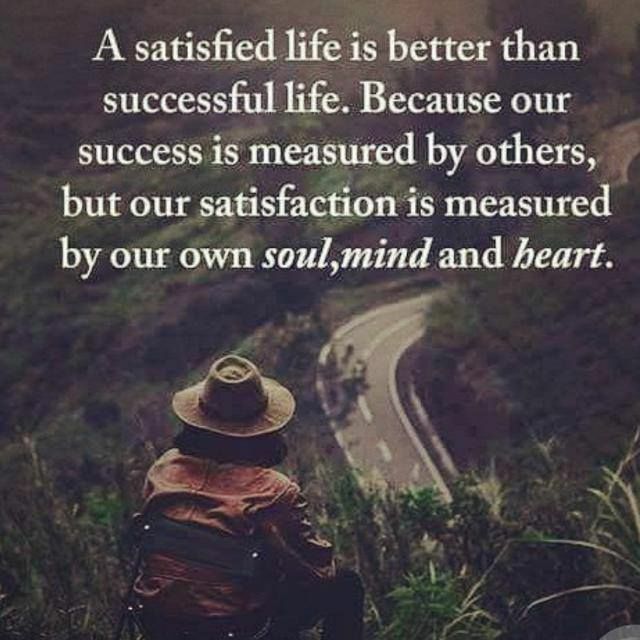 But Our Satisfaction Is Measured By Our Own Soul, Mind And Heart.